Many Californians are in favor of legislation that would permit assisted suicide in certain situations, yet some elder advocates worry that such legislation won’t have sufficient safeguards to protect against elder abuse. According to a recent article in the Modesto Bee, the Death with Dignity bill, or assisted-suicide legislation, can have “many unintended consequences” that can negatively impact elderly Californians. In addition, there’s a serious concern that staff members at care facilities might not be able to provide the right support that terminal patients need in deciding whether or not to choose assisted suicide. What happens when financial pressures lead to a patient’s decision to end his or her life? What about emotional pressures? 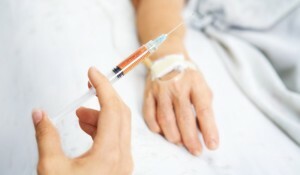 In short, the proposed assisted-suicide legislation in California doesn’t protect elderly patients from outside pressures that can impact their ultimate decisions. But, why is this a particular concern for older adults? To be sure, “no assisted suicide ‘safeguard’ can ever protect against coercion.” Then, why should we be talking about certain safeguards for the elderly? When it comes to the elderly, it’s important to remember that many patients may have already been subject to nursing home neglect or abuse, and thus they may be emotionally incapacitated. In addition, many older adults suffer from diseases like dementia that ultimately limit decisionmaking capacities. Who will advocate for seniors when it comes to assisted-suicide options? Certain elder advocates aren’t just concerned about pressures from family members and other outsiders. Indeed, insurance companies may also exert pressure on these patients if the bill passes. For instance, in Oregon, where such legislation already exists, insurance providers have denied treatment coverage to extend the life of a terminal patients but have agreed to pay for the same patient’s assisted suicide. And, if assisted suicide looks more like a “treatment option” that comes with a lower price today, advocates worry that elderly Californians won’t have anyone to speak up for their rights when it comes to medical care. The Death with Dignity bill has goals that are certainly worthy of consideration. At the same time, a number of medical organizations and advocates argue that we may need to think deeply about how assisted-suicide legislation in California could lead to unintended elder abuse incidents. Should the Death with Dignity bill include certain safeguards against elder abuse? And, would such safeguards be effective? If you have concerns about nursing home abuse or neglect, don’t hesitate to contact an experienced San Diego elder abuse lawyer. An attorney at the Walton Law Firm can discuss your case with you today.